At it’s most basic, you just mash or slice half an avocado onto a slice of toast. Boom. To prevent the avocado browning too quickly and to brighten up the flavor I like to squeeze in the juice of half a lime, Maldon sea salt, pepper and a tiny splash of good olive oil. Maybe some red pepper flakes if I’m feeling spicy. If you’re an avocado toast aficionado, here are a few topping suggestions to take your toast to the next level. 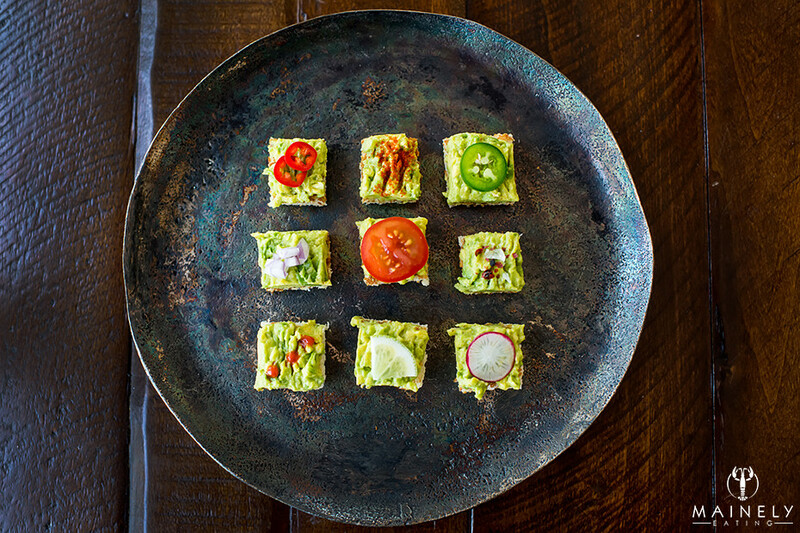 And of course, you can easily combine toppings – red onion, tomato and cayenne and you’re almost at guacamole toast! Did I mention avocado is good for you? Half an avocado contains around 150 calories but most of that is made up of heart-healthy, cholesterol-lowering monounsaturated fat. Think of this as a loose starting point. If you’re a huge onion fan, add more! If you can’t stand cilantro (me! ), then skip it. If you like a mild guacamole, skip the fresh chile or maybe just add a little mild anaheim chile. If you like it hot then graduate to a jalapeno or even habanero. Check out the range of heat in various chiles here. 1. With the palm of your hands, roll the limes back and forth on the counter a few times, this will give you more juice. Cut the limes in half and squeeze all the juice into a bowl. 2. Cut the avocado in half lengthways, remove the pit. Scoop out the avocado flesh and add it to the lime juice. You’ll have giant chunks of avocado at this point. Toss in the lime juice to prevent browning. 4. Finely chop the fresh chile if using. Use gloves if you have them or even a fork to hold your chile while you chop it (if you have chile oils on your fingers and then touch your eyes or mouth you will be in pain! ), remove the seeds (unless you REALLY like heat) and add to bowl. 5. Toss ingredients and then use a sharp knife to loosely chop the avocado while in the mix, I like fairly big chunks, if you want a smoother guacamole you can use a fork to mash. 6. 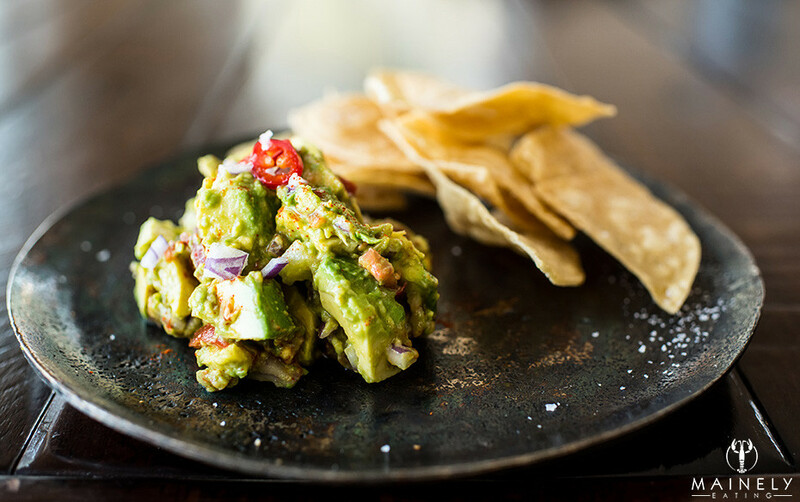 Taste the guacamole and adjust to your taste – more salt? more cayenne? Transfer into serving dish and sprinkle with extra cilantro. Serve with warm corn tortilla chips. 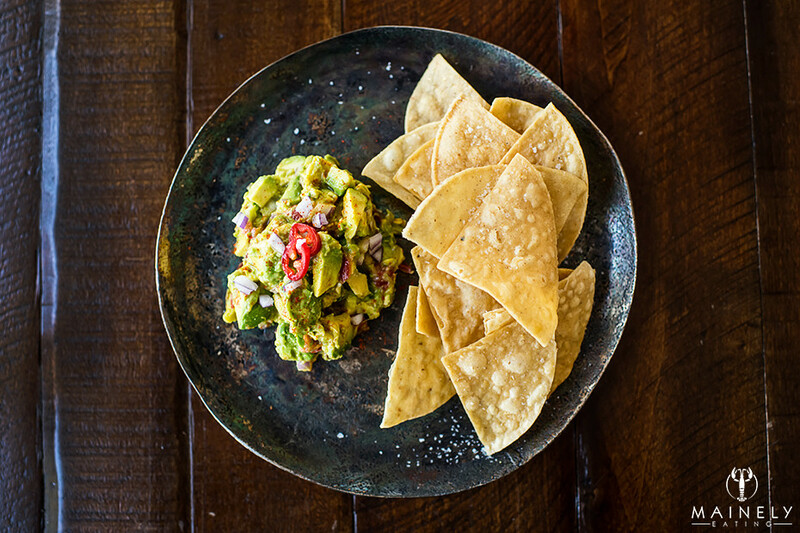 Ideally you’ll want to eat the guacamole immediately. If you need to eat it a little later you can cover the surface tightly with plastic wrap and store in the fridge. Note that the heat from the chile will intensify the longer you leave it. You can also save one of the avocado pits and add it to the guacamole to (allegedly) reduce browning, remember to remove it before serving! Perfect with a cold cerveza or margarita! 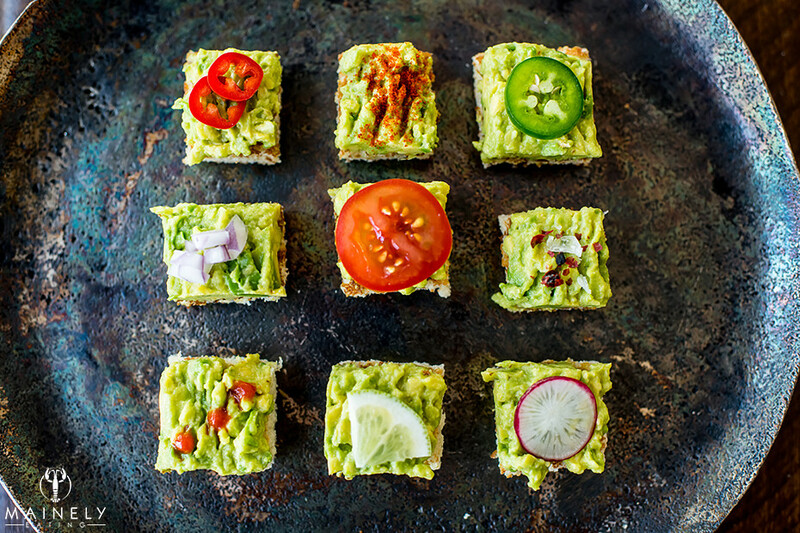 This entry was posted in Appetizers, Entertaining, Lunch, Sides, Vegetarian and tagged avocado toast, avocado toast toppings, chunky guacamole by Mainely Eating. Bookmark the permalink.